Although I live in Aberystwyth these days (home of Epic Militaria of course! ), I grew up not far from Wicksteed Park. When the boss was looking for volunteers for this year’s Wicksteed at War I made sure I got my spot in the van booked! I haven’t been to Wicksteed in about 10 years, and so I’m really excited to see how the place has changed since then. Until last year we had only ever gone to the Stoneleigh Militaria Show at the start of each year and War and Peace in the Summer. This all changed when we decided to do a bit of a tour last year and take in some more shows. We added Tankfest, Yorkshire Wartime Experience and Essex Militaria last year, and thoroughly enjoyed all of them. We’re going to all 3 again this year, and decided we could just about squeeze one more into a very busy summer. In the end we decided upon Wicksteed, which is acting as this Summer’s opener. Wicksteed at War owes its thanks to both Wicksteed Park and the Military Vehicle Trust for its success. It has become one of the biggest events of its kind in the area, and has some great stuff planned for this year. On the Saturday there will be a flyover from a Spitfire, with Sunday’s crowd treated to a Hurricane flypast. There’s a host of armoured vehicles coming too, including an American Walker Bulldog Tank, British Centurion Tank, WW2 American Jackson Tank Destroyer, Russian T-55 Tank and a replica running WW2 German Panzer III. 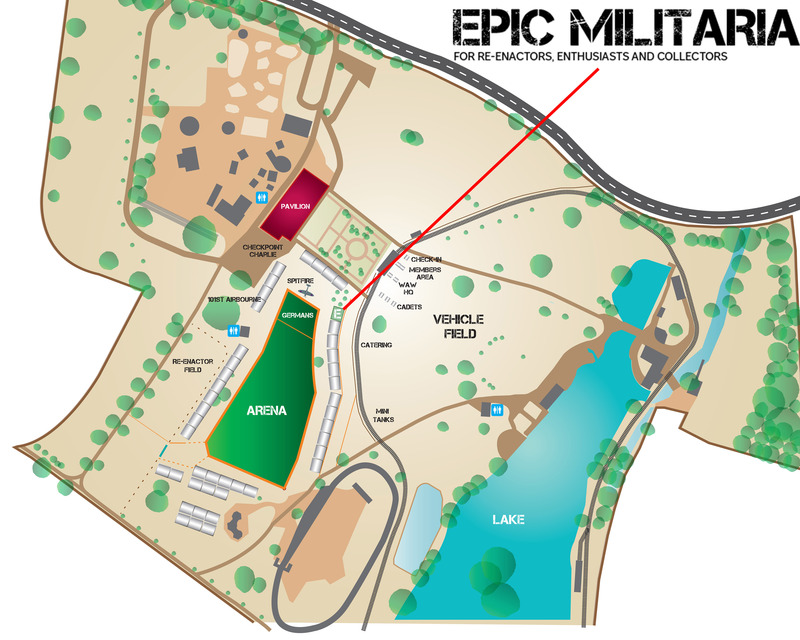 The Main Arena will play host to an Armor Display, British Army REME Recovery Display, Man vs Tank! British Vehicle Display, Light Tank Stunt Team, American Vehicle Display, Rolling Thunder Firepower Display, a World War 2 Battle as Allied Forces take on a German fortification with tanks (who will win?) and much more. I’m personally looking forward to seeing Rolling Thunder in action, who did a Blog for us only a few weeks ago on their group. Preparation and displays for the show are underway! There will be loads more there too, including a Checkpoint Charlie reconstruction, loads of reenactor groups, and of course us! We will be in the main trader’s field and weather permitting we will get the big banner up so you can see us quickly. Once we’re there we’ll get a post up on our Facebook and Twitter as well so you know what we look like and to find us easily. We’re taking a great mix of items this year, including Helmets, Uniforms, Insignia and lots more. And of course, there will be Panzerschrecks and Panzerfausts (not many though, so come along early to make sure you get one if you’re interested – we’ve got 2 vans of stuff coming and they will be packed!). If there is anything you need us to bring, let us know and we’ll try to squeeze it into the van. Tunic Belt Support Hooks will be coming for everyone who forgets them of course, and we will make sure we’re stocked up on Scho-ka-kola! We can’t bring everything, but if there is something you’re after we will always try our best! We hope to see loads of you at the show this weekend, and will hopefully share some of our stories from it in a post-show Blog next week! The show is free entry (car parking fees do apply, click here for charges), so there’s no excuse not to come along!